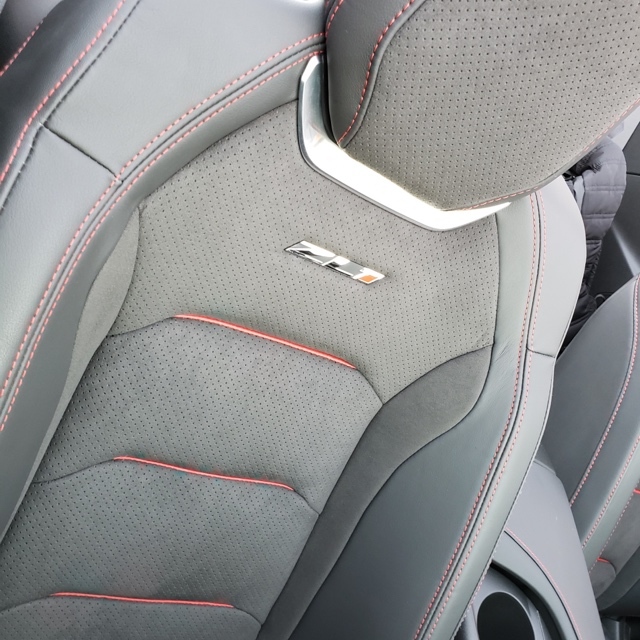 At the starting price of $67,500 the 2019 Chevrolet Camaro ZL1 Convertible combines a beautiful exterior with the amenities and power to back it up. With a roof that folds down in under 20 seconds and the ability to go from 0-60 MPH in 3.5 seconds, any average drive can turn into a carefree cruise in the sun or the last lap of the Daytona 500. The Camaro ZL1 convertible is the high-speed drop-top to beat. The Camaro owes its incredible velocity to its 6.2L engine and supercharged V8. The fast-shifting model boasts a 650 hp and 650 lb.-ft of torque, the option of standard six-speed manual transmission or 10-speed automatic, and a maximum speed of 195 MPH. Brembo performance brakes ensure that even the fastest rides can be kept under control. Working hand in hand with the automatic transition are magnetic ride control, limited slip differential and exhaust dual mode performance. Custom Launch Control allows for optimized acceleration and Line Lock to lock the Camaro’s front wheels and enable the rear wheels to spin for maximum grip. The annual fuel cost comes out to $2,800 at 6.2 gallons per 100 miles and 16 MPG combined city and highway performance. The exhaust notes are music to the ears of any car enthusiast, mimicking the sounds of thunder and lightning. 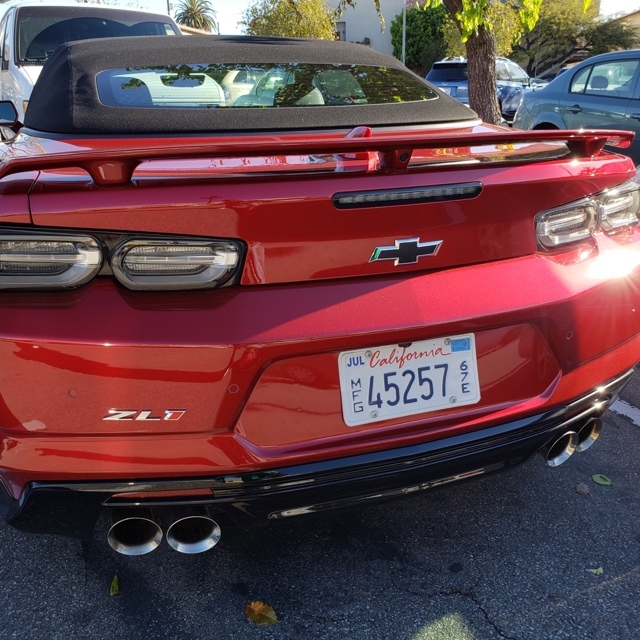 The quad exhaust can be compared to the Jaguar F Type SVR, but the Camaro comes in first place. Any driver will feel like a winner in this drag-race style convertible. The Camaro ragtop has a hard tonneau top that reclines by remote activation for easy access and a frame that sits low, comparable to the Lamborghini Huracán. 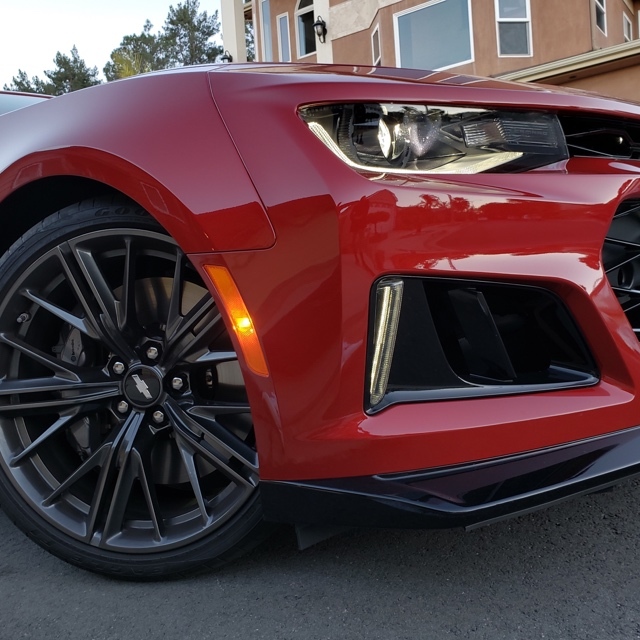 Aerodynamic enhancements like a front air dam, splitter and a carbon fiber hood extractor, along with a carbon fiber rear wing, help reduce lift and increase downforce to keep ZL1 glued to the track. The exterior is equipped with HD headlamps and tail lamps with LED signature and 20” wheels made of forged aluminum for a clean and forceful look. The styling screams power and appears much more refined than its predecessors.The rear end adopts fresh taillights and a revised bumper. 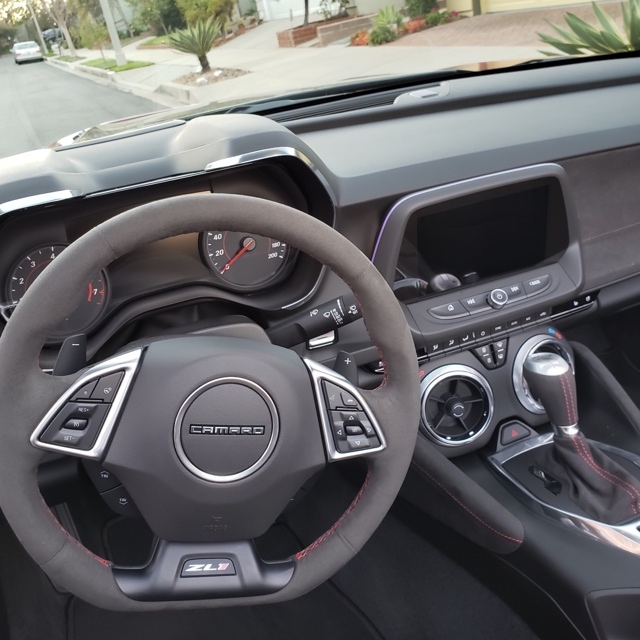 Despite its roaring engine, the Camaro’s cabin has the quietest interior noise which pairs comfortably with Recaro leather trimmed bucket seats and suede seat inserts. The momentum and performance of the car pulls drivers in and the race inspired Recaro seats keep them there, snugly in place for a wild ride. The styling and refinements are reminiscent of German auto options. Front seats can be heated and ventilated and cuff the body tight on fast paced drives. The Camaro not only comes equipped for speed, but for safety as well. It’s Stabilitrak stability control includes traction control combined with rear cross traffic alert, park assist and side blind zone alert. Owners are not only safe from driving mishaps, but battery rundown and theft as well. Besides coming supplied with standard options such as voice recognition, Apple carplay, 4G LTE wifi hotspot and wireless phone charging, the Camaro includes an enhanced Performance Data Recorder. With the Data Recorder drivers are able to view real-time performance data in order to analyze technique and improve driving abilities. Any driver can train themselves for professional racing. Other notable additions include Chevrolet’s Infotainment 3 software, newly standard forward-collision warning and one of the best Bose sound systems in its class. If the noise cancelling cabin didn’t drown out the Camaro’s thunderous motor, then the concert-like sound experience would definitely do the trick. 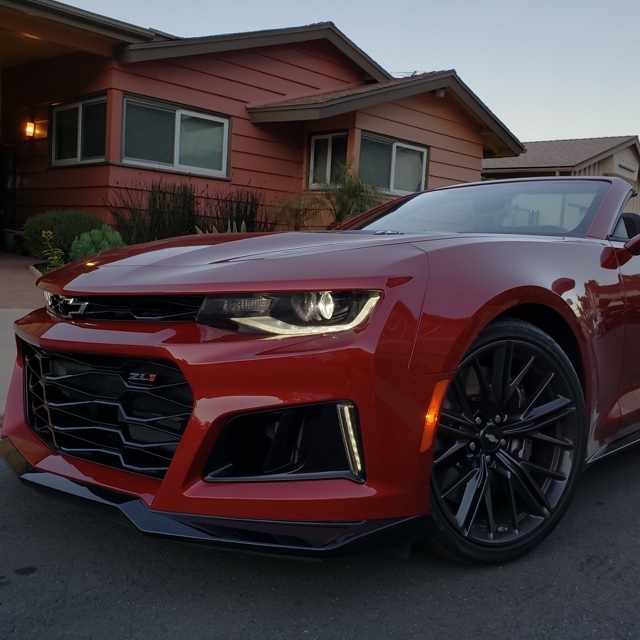 The Camaro Convertible ZL1, with its bold rear styling, upgraded technology and insane performance, is equally at home on the road, track or drag strip. This entry was posted in Auto and tagged 360, 360 Magazine, aerodynamic, auto, bose, camaro zl1 convertible, Chevrolet, convertible, Custom Launch Control, daytona 500, drag-race, exhaust, fast, hd, Infotainment 3 software, Jaguar F Type SVR, Lamborghini Huracán, leather, led, Performance Data Recorder, power, racecar, Recaro, refined, Speed, Stabilitrak, Suede, Tara McDonough, Vaughn Lowery on April 3, 2019 by wp360mag. 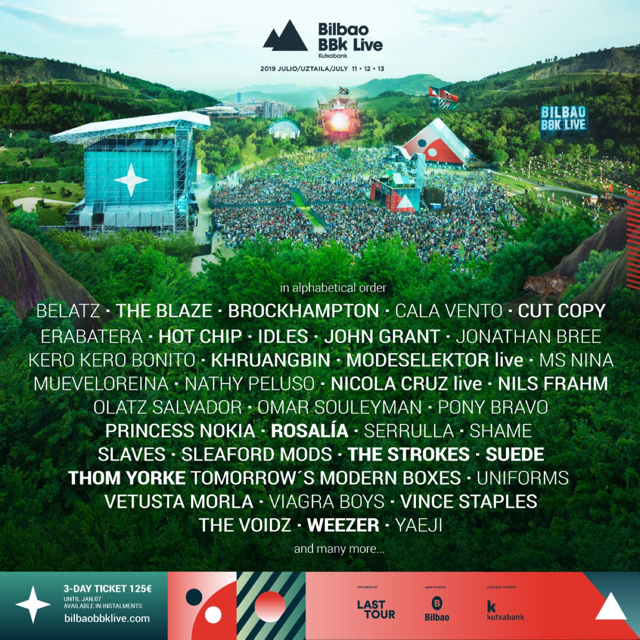 This entry was posted in Travel + Food and tagged 360 Magazine, Bilbao BBK Live, Brockhampton, Diana Macaraeg, europe, festival, Hot Chip, Idles, Kero Kero Bonito, lit, Modeselektor Live, music, Nicola Cruz, Nils Frahm, Omar Souleyman, Princess Nokia, Rosalía, Shame, spain, Suede, The Blaze, The Strokes, Thom Yorke, travel, Vaughn Lowery, Vince Staples, weezer, Yaeji on December 17, 2018 by wp360mag.